James M. Marovich is a litigation and transactional attorney who, before solo practice and forming his own firm, worked for two multi-state law firms in Phoenix and Scottsdale. Mr. Marovich’s entertainment law practice consists of copyright, trademarks and trade names, and rights to privacy. He provides business, intellectual property, and contract law services for singers, songwriters, musicians, bands, independent film companies, publicists, actors, talent and modeling agencies, authors, artists, photographers, physicians, medical spas, theatre companies, talent management, and record sales and distribution services companies. 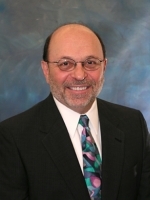 Prior to legal practice, Mr. Marovich had over twenty years of senior hospital administrative experience. He has served on numerous not-for-profit boards, is a frequent speaker for the Arizona Songwriters Association and community college performing arts classes, and is currently serving as general counsel for the Arizona Music and Entertainment Hall of Fame. He is a member of the Executive Council of the Intellectual Property Section of the State Bar of Arizona. Coming from a family of entertainers (he too has acted on stage and camera), it’s not a stretch to say that the entertainment business is “in his blood,” which gives him familiarity with the unique needs and desires of people involved in the entertainment business. Among his clients are the actor whose short film was selected by the 2007 Cannes Film Festival, the photographer whose work was featured at the Phoenix Herberger Theatre, the band who sold music to MTV’s programming division, the songwriter whose songs were used in several feature films and television, and the wordsmith whose feature article graces the cover of the 2007 collector’s issue of Desert Living Magazine.